Allied Academies unconditionally welcomes every one of the members over the globe from driving colleges, research foundations, demonstrative organizations and all interested to allocate their examination encounters in the International Conference on Hematology and Blood Disorders during August 13-15, 2018 in Chicago, USA with the theme “Recent Advances in Diagnosis And Treatment Of Blood Disorders”. Blood Disorders 2018 anticipates more than 500 participants from around the world with thought-provoking Keynote speeches, Oral and Poster presentations. 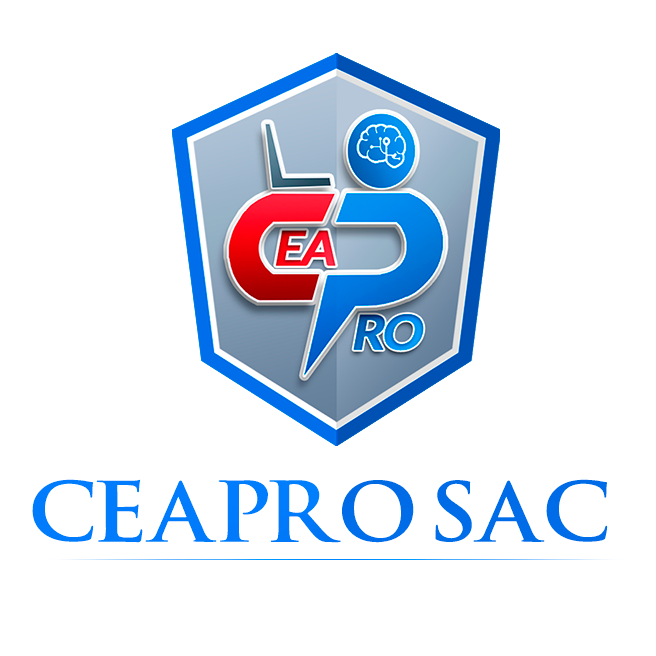 The attending delegates include Editorial Board Members or related Allied Academies Journals. Our Conferences deliver new ideas, convictions, strategies and tactics that directly affect how you do business. No other Conference will offer impressive roaster of Keynote speakers, quality attendees and compelling content. This is an excellent opportunity for the delegates from Universities and Institutes to interact with the world class Scientists. The intending participants can confirm their participation by registering for the conference along with your colleagues. This Conference will provide a forum for the exchange of ideas and authoritative views by leading scientists as well as business leaders and investors in this exciting field. Outstanding keynote speakers and well known leading scientists and experts from around the globe will be expected to share their knowledge. The event participants are typically high-level decision makers representing various parts of the industry and many participants are repeaters who know each other. This creates a relaxed and informal atmosphere with the right settings for meeting new people. The main theme of Blood Disorders 2018 is “Recent Advances in Diagnosis and Treatments of Blood Disorders”. Allied Academies welcomes you to attend “International Conference on Hematology and Blood disorders" held in the beautiful city of Chicago, USA, on August 13-15, 2018 with the theme of “Recent Advances in Diagnosis and Treatment of Blood Disorders” We amiably invite you to attend the conference and share your research on Blood Disorders 2018. Blood Disorders 2018 Conference is to spread knowledge, awareness, and education about the recent advances in the treatment of Blood disorders and development of a new treatment to reduce the death rate because of blood cancer and to develop painless treatment of cancer. Blood disorders 2018 is the study of risks, causes, symptoms, and treatment of various Blood disorders. This conference highlights the research spanning a diverse array of topics, including incidence & epidemiology, risk factors, genetic mutations, signs & symptoms, early detection, types of Blood disorders and much more. Blood Disorders 2018 is a good platform for Doctors, Scientists, Researchers and Business Delegates to attend and discuss the latest scientific achievements with the attendees. The main aim of this conference is to provide an opportunity to learn more about the complexity of the disease, discuss interventional procedures, look at new and advanced practices and their efficiency and efficacy in the treatment of various cases, and understand local realities and practical constraints in improving patient-care. The International Conference on Hematology and Blood Disorders is a unique platform which aims to discuss and generate new ideas for treatment and management of Blood Disorders. Blooddisorders 2018 will witness an assembly of experts from all over the world who will present their cutting edge research for the betterment of people’s health. Many people have encountered haematologist atleast once in their life time. It is the most fascinating area of medicine, than any other field. Both Personalized medicine and targeted therapy is epitomized in hematology. Healthcare specialists in the world are endeavouring to find better ways to deal, prevent, recognize, and treat Blood and blood related disorders. 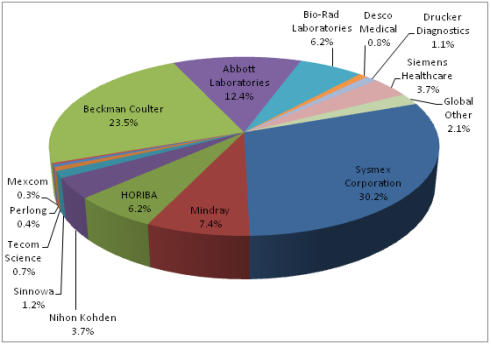 The hematology market research has been classified into 2 major segments: analyzers and reagents. The global hematology analyzers and reagents market is estimated to grow at a CAGR of 5.2% from 2014 to 2019. We invite all of you to know more about the latest innovation and techniques that has been advanced in hematology, join your peers at Blood disorders 2018 and learn more about it. 2nd International Conference on Hematology & Oncology, August 23-25, 2018, London, Uk; 10th World Hematology and Oncology Congress, October 22-24, 2018, Warsaw, Poland;ASH Meeting on Hematologic Malignancies, September 7-8, 2018 Chicago, Illinois; 12th International Conference on Hematology & Hematological Oncology, October 29-30, 2018, San Francisco, California, USA; ASH Meeting on Lymphoma Biology, August 2-5, 2018 chantily, Virginia; 12th World Hematology Conferences, March 15-16, 2018, London, UK; The 2nd International Conference on Clinical Trials in Oncology and Hemato-Oncology Conferences, February 19-20, Berlin, Germany; International conference on Stem cell and Tissue Regeneration, Osaka, Japan, june 4-5, 2018; Global Conference on Tissue Engineering and Regenerative medicine, Barcelone, Spain, july 30-31, 2018; World conference on pediatric and Neonatology, Osaka, Japan, july 26-27, 2018; Global Congress on Immunology and Immunotechniques, Chicago, USA, August 20-22, 2018.
International Society for Laboratory Hematology,The Candian Hematology Society, Michigan Society of Hematology, American Society for oncology, European society of Hematology, British Society of Hematology, International society of Hematology, European society of Pediatric Hematology, Emirates society of Hematology, Saudi Society for Hematology, Haematology Society of Australia and New Zealand, Malaysian Society of Hematology. Anemia is the most common blood disorder in the general population. This happens when there is a decreased number of circulating blood cells in the body. Anemia affects 1.62 billion people, which corresponds to 24.8% of the world’s population. The highest prelevances is in preschool-age children (47.4%) , and the lowest prelevance is in men(12.7%). 468.4 million non-pregnant women are affected with anemia. This session will give a detailed information on causes, symptoms, types, risk factors, complications, diagnosis, prevention and treatment of anemia.Anemia is mainly of three types. They are, Macrocytic anemia, Normocytic anemia and Mircrocyticanemia. Blood cancer affects millions of people every year. Of the estimated 1,660,290 new cancer cases diagnosed in the United States in 2013, about 9 percent are expected to be blood cancer. For every 3 minutes one person in the United States is diagnosed with blood cancer. More than 1.2 million people in the U.S are fighting against cancer. The most common cancer in children is Leukemia which accounts for about 30% of all childhood cancers. There are many types of blood cancer and each can affect our body cells and body in different way. The main aim of this session is to raise awareness about the symptoms of blood cancers and to educate the people about blood cancer diagnosis and treatment which will hopefully lead the people to diagnoise earlier and to provide support for the people affected by it. Bleeding disorders are the problem that lead to poor blood clotting and continuous bleeding. They are characterized by extended bleeding after injury, trauma, surgery and menstruation. Most of the bleeding disorders are inheritable and are not curable. Global Bleeding Disorders Treatment Market is expected to grow at a CAGR between 7.5% and 8.0% over the Forecast period 2016 to 2022. The main aim of this session to spread awareness about bleeding disorders among global population, and government facilities in developed countries towards the establishment of wide network of diagnosis and treatment centers for bleeding disorders. The advancement of research in this field leads to development of new drugs and therapies. Platelets are the cell fragments involve in clotting system by forming blood clots. The platelet count is normally between 140,000 to 440,000/L. The increase or decrease of platelet counts will lead to Platelet disorders. The decrease of platelets will lead to severe bleeding. Whereas increase of platelets may have high risk of blood clots. The platelet disorder is caused due to increase in platelets, decrease in platelets and platelet dysfunction. Myeloproliferative disorder is the most common disorder related to bone marrow. In myeloproliferative disorders, the cells mature normally, but they have an abnormally high amount of proliferation which will lead to very high number of cells in blood. More than 200,000 people in the U.S are estimated to be affected with myeloproliferative disorders. The main aim of this session is to understand the development process of myeloproliferative disorders and to share a knowledge on availing treatments and future research in this field. In myelodysplastic syndrome, the cells mature abnormally. That is, a stem cell instead of maturing into a normal cells, matures into abnormal cells. This abnormal cells are known as dysplastic cells. It is estimated that about seven per 100,000 people are affected with this syndrome. And about four per 100,000 people newly acquire this condition each year. The typical onset of this condition is at 70 years. The survival rate following diagnosis is 2.5 years. Many recent advances uses MDS stem cells at the molecular level to provide insights into the origin and development of MDS and blood cancers. This session will provide a platform to gain information on current research and treatments in this field. multiple myeloma which resulted in the death of 101,100. The aim of this session is to provide deeper understanding on symptoms, complications, causes, risk factors, diagnostic method and treatment of this disease. Formation of clot in blood vessels that breaks loose and is carried by the blood stream to plug another vessel. The clot may plug a vessel in the lungs, brain, gastrointestinal tract, kidneys, or leg. Thromboembolism is a significant cause of disease and death, especially in adults. It is estimated that about 900,000 people are affected (1 to 2 per 1,000) each year in the United States.Estimates suggest that 60,000-100,000 Americans die ofvenous thromboembolism. 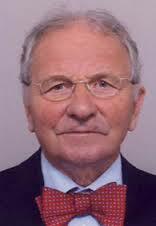 This session focuses on the current research and development in the field of thromboembolism. According to the Bureau of Labor Statistics the demand for Pediatric Hematology physicians and surgeons will increase by 24% between 2010 and 2020. The American Society for Pediatric Hematology/Oncology anticipates demand in its area of specialization to remain strong, with cancer killing more children under 15 than any other disease. This session focuses on the education, research and treatement of children and adolescents wih blood disorders and cancer. This session will providean exciting opportunity to build your knowledge on investigation and practical management of common childhood haematological problems through best lectures and case based discussion. Ancillary techniques essential for the diagnosis of haematological malignancies such as flow cytometry, cytogenetics and molecular methods. The main aim of blood bank is to collect, store and separate the blood according to the needs of the patient. It is estimated that about 13000 blood centres in 176 countries collected a blood of 110 million donations. The global market for blood banking is estimated to reach US$45.8 billion by 2022. The branch of medicine that deals with transfusion of blood and blood components is known as Transfusion medicine. This session focuses on creating awareness on Blood donation and its significance in saving lives during emergencies particularly during obstetric emergencies and accidents. Hematopoietic stem cell transplantation(HSTC) is an important approach for treating blood, blood cancers and bone marrow related disorders. The first work with HSTC began in 1950s. By the end of 1960s this treatment was successfully used in patients with end-stage leukemia. Hematopoietic stem cell transplants (HSCT) is a valid treatment for several congenital and other hematopoietic system disorders, post chemotherapy, and immune sensitive diseases. It is also used for Replacement of cellular components and deficient cells. Recent research in this area led to improved survival rates for a number of disease and led to improved transplantation techniques. Potential difference in disease characteristics in haematological malignancies in the elderly,Treatments that can be used in haematological malignancies in the elderly. The global market analysis for hematology drugs and diagnostics for hematological disorders is expected to grow from nearly $86.5 billion in 2015 to $124.3 billion in 2020 at a compound annual growth rate (CAGR) of 75% from 2015 to 2020. The historic growth in this markets was driven mainly by the increasing prevalence of the diseases as well as the due to launch of newer brands of medication. The united States was leading the market. The scope of this conference is to bring together the world’s leading scientists, research scholars, young researchers and professionals from different parts of the world to exchange their knowledge and to present the most recent research findings in the field of hematology. This conference also aims to promote and enhance scientific collaborations around the world. 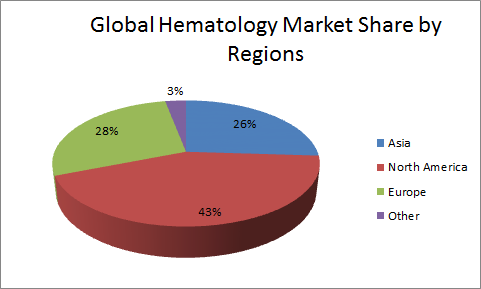 North America dominated the global hematology diagnostics market due to increasing blood disorders and aging population. North America hold the largest share of 41.75% in the Global hematology market, which is estimated to be $1810.4 million in 2013, and is expected to reach $2470.05 million by 2018, at a CAGR of 6% from 2013 to 2018. Europe holds the second larges position in the hematology market. Where Germany commanded the largest share of 20% at $272.8 million in 2013, and is expected to reach $340.7 million by 2018, at a CAGR of 5.4% from 2013 to 2018. The global hematology market is categorized into hematology products and services. Hematology products are divided into instruments and consumables. 2. Academics and Research Institute. Hematology Market Government and Regional Agencies and Research Organizations. This market research report will increase the awareness of current and emerging drugs and technologies for hematological disorders and blood cancers.